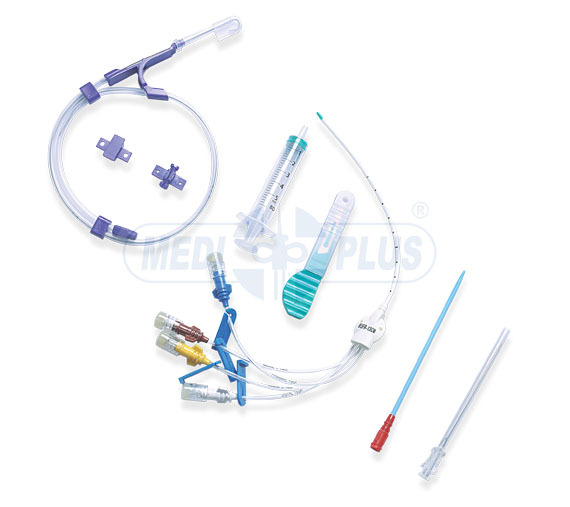 Central Venous Catheter made of specially formulated and biocompatible Polyurethane material provides strength during insertion and also softens at body temperature to conform to the body tissues and reduces the risk and vascular trauma. Specially Designed Soft & beveled tip for smooth & easy insertion of catheter. Soft Flexible J-Tip Guide wire prevents the vessel perforation and also provides good torque to ensure film insertion. 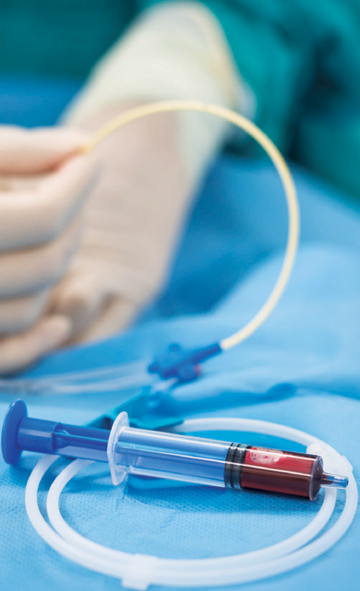 Sufficiently radio-Opaque material of catheter with clear, definite marking facilitates correct placement of catheter tip. Kink resistant Guidewire with soft & flexible J-tip offers better torque which helps in easy insertion & prevents vessel perforation. Y-Introducer needle with check valve. Guiding Syringe / LOR Syringe (Optional).